Welcome to BTE Communications, one of the best providers of professional telephone answering services. 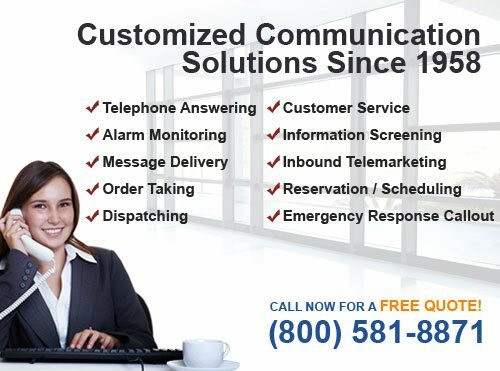 Since 1958, we have been helping businesses run more efficiently and cost effectively by offering the best value in reliable, affordable, and customizable call center solutions. 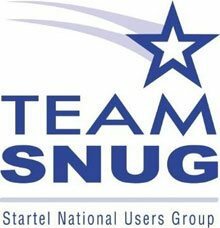 Having served the needs of thousands of satisfied clients over the last 50 years, we have the track record and experience to provide live operator, voice mail, alarm monitoring, emergency response callout, customer service, inbound telemarketing, dispatching, advanced message delivery, and virtual receptionist services of the highest quality. 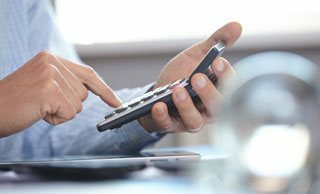 Our services are available 24 hours a day, 365 days a year, with no long-term commitment, no equipment to buy, and no hidden fees. BTE Communications stays up to date with the most advanced telecommunications technology and provides its agents with ongoing, professional training. 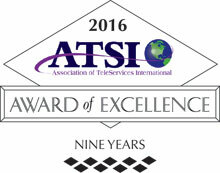 We use equipment and software from StarTel and are an ATSI (Association of Teleservices International) member. We are HIPAA compliant and require all of our agents to sign nondisclosure agreements. Our phone agents average more than 5 years of call center experience. Their excellent communication skills, impressive attention to detail, and commitment to customer care have proven to be invaluable to a wide array of businesses, including but not limited to oil drilling, equipment rental, towing, plumbing, heating and air conditioning, medical, dental, law, bail bonds, property management, water and power, roofing, landscaping, crane rental, elevator service, school districts, and roadside assistance. Our agents will work as an extension of your company by answering the phone using the company's name and utilizing your company's call script. They are able to accurately relay product or service information, schedule appointments, answer questions, administer surveys, screen information, take orders, dispatch calls, and much more. Only Pay for What You Use. No Long Term Commitment Required. Call for a Free Consultation. Call BTE Communications today to learn more. We'll tailor our phone answering and message delivery services to meet the unique needs of your business and provide free upfront quotes. We serve businesses of all sizes and from a wide range of industries across the United States. We are based in Bakersfield, California, but we serve many of the biggest markets on the West Coast, including Ventura, Santa Barbara, Oxnard, San Jose, Oakland, San Francisco, and Sacramento in California; Provo and Salt Lake City, Utah; Las Vegas, Nevada; Spokane, Tacoma, Seattle, and Olympia, Washington; Portland and Eugene, Oregon; and Boise, Idaho. "I feel confident in recommending BTE Communications' services for after hours call answering. We are a criminal defense attorney office and we get calls at all hours from people who have been arrested or their relatives looking for legal services. 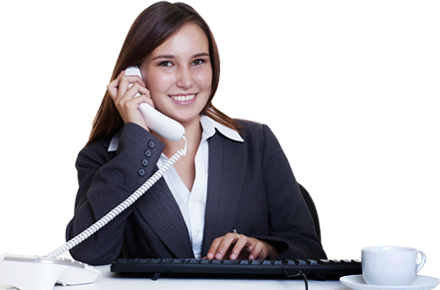 The operators at BTE Communications are very professional in communicating with our callers and with the attorneys."